Apple generates a well-deserved buzz around the design of its products year after year. The company blazed a path by choosing minimalist product design for maximum consumer appeal. With the aim of being user-friendly and streamlined, they focus on creating a product most consumers would find easy to navigate and visually appealing. 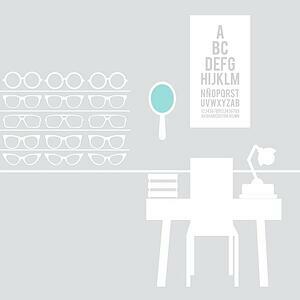 How could you apply those principles to the design of your optometry practice? Apple's mentality can transform the workflow, interior design, and frame board management of your practice quite easily. If you keep the patients' experience at the forefront of your mind, you could achieve the simplistic but nuanced aesthetic that patients respond well to. Read more for a detailed look into how you might attract more people to your products and boost sales like Apple. Although ODs may cater their exams and patient care techniques to put the patient first, sometimes the design of their practice and workflow is not prioritized. We've split the designing into 4 key aspects and asked "What Would Apple Do?" before applying it to eyecare practices. The design process shouldn't be influenced by budget constraints or other departments. It should only be concerned with functionality and use. This means that organization of your frame boards, furniture, decor, equipment, and educational items should be based around what is most functional instead of what is most affordable. After you've drawn up at least 3 different layouts for your space, you can find a cost-effective solution to execute the final layout without exceeding your budget. However, you should brainstorm ideas with the patients in mind. Every stage of the design process should be decided and laid out before anything is executed. This allows all the possible layouts to be reviewed together before being narrowed down. In order for you and your staff to evaluate whether a design is realistic or executable, you must have all the logistics laid out in front of you. This means you should have furniture measurements, number and brand of frames to be displayed, paint colors/samples, flooring, lighting, available storage, and more figured out for all possible layouts. Above all, every aspect of your practice's design should make it easier for someone to purchase frames or lenses from your practice. Although this may sound tedious, this is how Apple can include the entire design team in the process. If an idea only exists in someone's head, another team member may not be able to visualize it or execute it. When your staff has reviewed and chosen their plan of action, it will already be ready for implementation. This goes without saying, but Apple has project managers throughout the design and building stages. 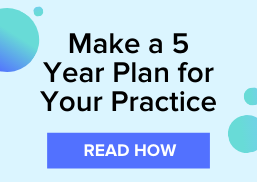 Your eyecare practice's design should be managed effectively. Though the person in charge is most likely the OD, it could be beneficial for the office manager to provide final decisions for front-desk design. The OD can handle the exam room, the optician can organize the frame board, and the technician can be the final word on pre-exam equipment. If every member of your staff is in charge of their task, the design is more likely to be informed by true experiences. For example, the office manager might be the best person to decide how large the front desk needs to be, how many chairs you need in the waiting area, and what needs to be in place for showcasing practice information/announcements to patients. Meanwhile, the optician would have the best grasp on brands, quantity, lighting, and mirror placement for your dispensary. As long as each expert is reducing clutter and making the patient's experience more enjoyable, they're following Apple's design methodology. Apple's design team tests and redesigns products after they've been built and manufactured. This is the bulk of their expense in the design process, but it's the best way to insure a quality product. You can apply this mentality to your optometry practice by considering your practice's layout and workflow a constant "work in progress". After you've overhauled and implemented a new design for your practice, take note of any inefficiencies or weaknesses for 4 weeks. Then, make the necessary improvements. Although tweaking your processes so quickly after a redesign may lead to extra costs, it's likely you'll save money in the long-term. Why continue a hand-off process that is leading to a gap in communication? Why keep a design element in your office that isn't serving its purpose? We hope you've felt inspired to design your eyecare practice like Apple designs their highly successful technology products. Want more ideas on how to optimize your optometry practice flow? Subscribe to our blog and receive notifications when we post.